Sidney Frederick Johnson was the second son of George and Blanche Johnson. He was born on the 19th August 1887 and arrived at the school in September 1901. 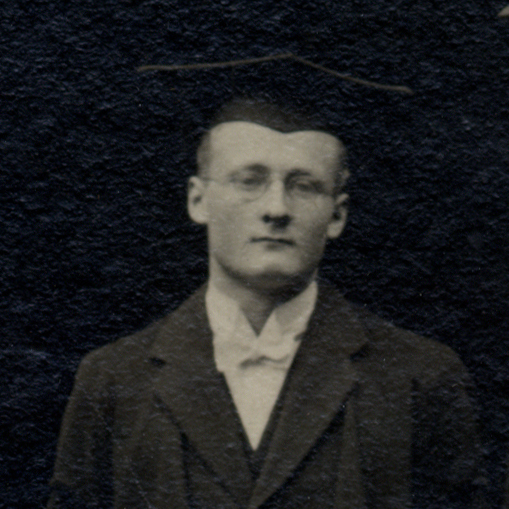 Upon leaving the school, Johnson achieved a BSc at the London University. He enlisted as a 2nd Lieutenant with the Queen Victoria’s Rifles in May 1910 before becoming a partner in Hendren’s Trust, Ltd., a financial company for promoting British enterprise in Canada. On the outbreak of war, Johnson decided to re-join the army. But first — a fortnight before taking a position as 2nd Lieutenant, 3rd Battalion (Reserve) Border Regiment — he married Helen Marguerite, the elder daughter of Farquhar Robinson, of Montreal, Canada on 28th November 1914. 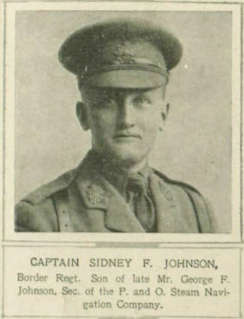 Johnson was attached to the 2nd Battalion and went out with them to the western front on 20th February 1915, but was invalided home in May 1915 as a result of wounds he received at Festubert. He was promoted to Lieutenant the following March and returned to the front on the 29th December 1916. 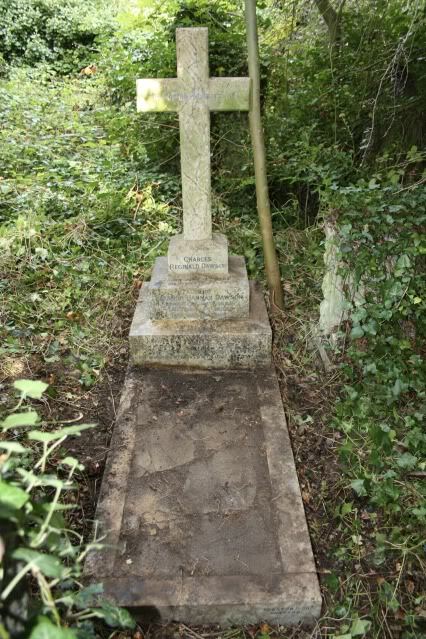 He was appointed brigade bombing officer with the rank of temporary Captain on the 7th October 1916 and was killed in action at the age of 29 at Beaumont Hamel on the 10th January 1917.